This attractive bus poster sports "Alex Webster NY Giants Football Star." 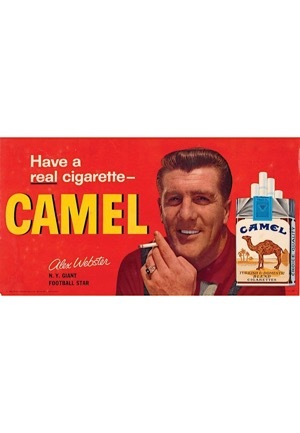 He advises you to "Have a real cigarette-CAMEL." Rare and regionally distributed, this paper poster is in excellent condition with a small amount of wear. Source from the Gus LeDonne collection, legendary football and sports collector who passed away too soon in 2013. 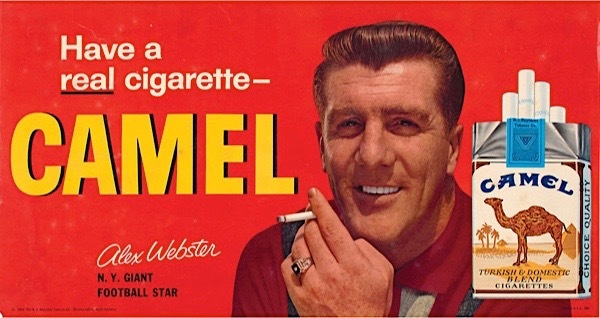 A top of the line buyer, Gus bought the best of the best in the early days of our hobby.